Since 2005, we at Blubrry have been working with podcasters to monetize their shows in a rather informal relationship. 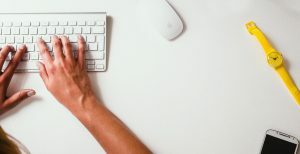 A lot has changed in the podcasting space and we feel that it is time to make a fundamental change to how we work together. This change will result in strengthening our relationship while still allowing you to monetize on your own, and having a choice in what advertising is presented in your show. To this end, we hope that each of you will consider becoming a priority advertising partner. See below about how benefits you, and feel free to email us with your questions and/or concerns about the new program and the new terms. Advertising is a great way to monetize your show, whether it’s simply to cover production costs or to reap a profit. Regardless of the route with which you’re looking to move forward, it’s beneficial for you to commit to working with Blubrry and our potential advertisers or media buyers. 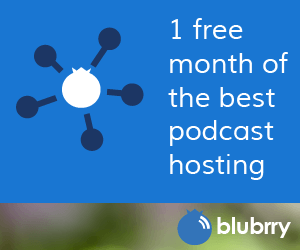 We’re podcasters here at Blubrry, so we know that content creators have a unique relationship with their audience. For Blubrry to compete in today’s podcast advertising world, we need to be able to move fast and implement campaigns with shows we know are ready and willing to run advertising as soon as possible. To do this, we need to create a strong and trustworthy relationship. In no way does becoming a priority advertising partner mean that you are prohibited from making deals with other advertisers or media buyers. We encourage you to reach out and find deals on your own. Follow campaign instructions and call us if you have questions! When you say yes to a proposal, we often will not have a signed contract from the advertiser yet. We will ask that you hold the inventory for a period of time as we complete the contract. If a deal falls through, we will inform you within one day. If another deal is presented to you, in which you need the held inventory, we ask that you call us immediately. We will respond to you within two business days on whether we can release the inventory. Media deals often involve quite a bit of back and forth with the buyer. They may add shows, remove shows, add or request new requirements. We ask for your flexibility and that you understand we are negotiating in good faith on your behalf. Those who sign this agreement will receive a gross share of 70 percent, while Blubrry receives 30 percent. Podcasters who do not sign this agreement will receive a 50/50 gross revenue share of any deal. Those who sign this agreement and then turn down two viable without a reasonable cause may be removed from the Priority List.